On Friday, we reached a major milestone as the City officially reached an agreement with SUEZ for a new water service contract. This new contract will invest an unprecedented $33 million into upgrading our water main infrastructure over the next 15 years. 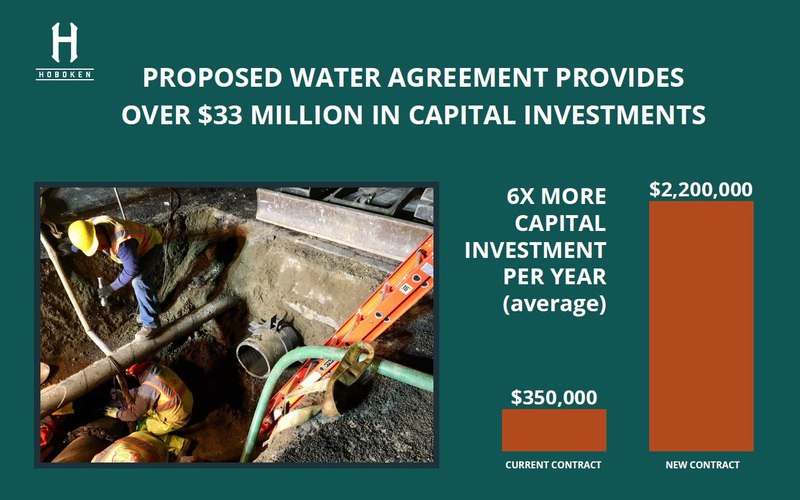 Thanks to this renegotiated agreement, we’re not on track to just make the necessary repairs to our water main system – we’ll be making multi-million dollar investments to replace our aging watermains. Our new contract has three main components. 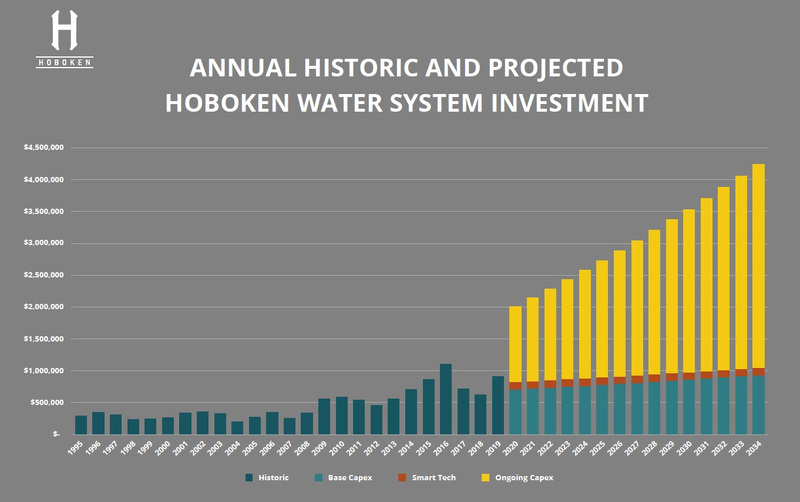 First, Hoboken, as opposed to SUEZ, will take the majority of the revenue from the system andproactively invest millions of dollars into water infrastructure through a public water utility – a big shift from the current private water concession system. 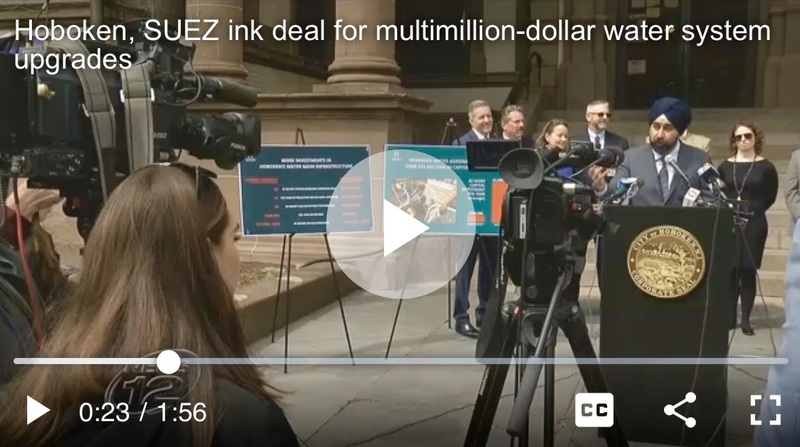 Second, $2 million will be invested into smart leak technology, which will help detect irregularities in the system and save Hoboken customers from paying for costly leaks. These smart meters will eventually be installed at every water meter in the City. Third, an average of $2.2 million, six times the current amount, will be invested each year into proactive water main replacement and repair. Currently, SUEZ is only required to set aside only $350,000 for water main repairs, which barely even covers the cost of a limited amount of emergency repairs. Put simply – this agreement is a major win for the residents of Hoboken. While it won’t magically prevent all water main breaks from occurring again, the new deal allows us to turn the page on the lack of investments in our water system. And, in addition, we’ve invested $17 million over the past two years in priority water main upgrades, including replacing the 100 year old water mains on Washington Street. I want to give a special thank you to Mayor Zimmer for beginning this process several years ago, SUEZ for coming to the negotiating table, the infrastructure sub-committee, and Business Administrator Stephen Marks and Director Jennifer Gonzalez for leading our team in negotiations. It is my hope that the City Council will unanimously adopt this agreement at Wednesday’s Council meeting. P.S. More great news – weather permitting, the final stretch of Washington Street is scheduled to be milled and paved this week!